Incorporating information literacy across curricula, in all programs and services, and throughout the administrative life of the university, requires the collaborative efforts of faculty, librarians, and administrators. Through lectures and by leading discussions, faculty establish the context for learning. Faculty also inspire students to explore the unknown, offer guidance on how best to fulfill information needs, and monitor students’ progress. Academic librarians coordinate the evaluation and selection of intellectual resources for programs and services; organize, and maintain collections and many points of access to information; and provide instruction to students and faculty who seek information. Administrators create opportunities for collaboration and staff development among faculty, librarians, and other professionals who initiate information literacy programs, lead in planning and budgeting for those programs, and provide ongoing resources to sustain them.” See the complete Information Literacy Competency Standards for Higher Education 1. Digital Collections on the Web, and much more. Over 13,000 books in our print collection including bestseller and juvenile books. Go to the library’s web site to use the online research databases that will give you access to the full-text of online journal, magazine, and newspaper articles, as well as online books. Student computers in the Library provide access to the Internet; WEBBER, MY UACCH, Email, MS Office (Word, PowerPoint, Excel, ACCESS), and HAWKES. You can also bring your laptop and access the Internet via our wireless network. Need Help with Your Research Assignment? Stop by the Library’s Information Desk to receive personalized, one-on-one, expert assistance in finding, evaluating, and citing resources for your upcoming research paper or project. If you need in-depth assistance (30-60 minutes), you may also schedule a research consultation appointment with the Library Director, Marielle McFarland. UAHT Library’s Web Site, offers a wide variety of How-To-Guides that include links to article databases, and credible web sites. These guides serve as an excellent starting point for your research needs and will save you valuable time and frustration in finding appropriate resources for your assignments. The Library’s Circulation/Information Desk is where you check out, renew, and return books and other library materials (including reserve materials), ask reference questions or make other inquiries. Standard check out period for books is 3 weeks. You may simultaneously check out an unlimited number of books. You may check out up to 3 audio/visual items at one time. Check-out period is for 3 days. Your UAHT Student ID serves as your library card. Students must have a student ID to borrow library material. Circulating materials include books, educational DVDs/videos and popular DVDs. Reference books, magazines, newspapers, and reserve materials can be used in the Library only. Students may borrow materials from other libraries through InterLibrary Loan (ILL) if material is unavailable or insufficient at UAHT Library. To request material through Interlibrary Loan, print and fill out an Interlibrary Loan Request Form (Book or Article) and turn it in at the Library’s Information Desk. You are welcome to study on your own or in groups in the Library. Please help keep the noise level down. Each student may print up to 20 pages every day for free. Additional pages cost $.05 each. Copies cost $.10 per page (2-sided pages are $20 each). and does give change. Library staff will be happy to assist you. Please contact UACCH Library for more information on any of our services or resources. Our staff will be more than happy to answer your questions and assist you in locating items/information, provide guidance in researching a topic, or assist you in using any of the print or electronic resources in the library. UACCH library users may access the library databases from off campus. When you click on a database link from Databases A-Z or any other UACCH databases link, you will be prompted with a login screen. Use UACCH Library’s generic username and password to login; they are available in UACCH Library. Primary sources provide first hand accounts or experiences of events. Information is generally presented in its original form, whether it is a work of literature or art, or an account of an event or experience, or original documents or research products such as interviews, speeches, questionnaires, letters, diaries, manuscripts, memoirs, etc. Includes books, periodicals, and web sites. Secondary sources provide second hand accounts of events. These sources include materials that have been reported, analyzed, or interpreted by people who do not have first hand knowledge of an event and may be found in books or periodicals, or on web sites. General and subject-specific reference books provide brief overviews or summaries on any given topic. They can include background information, factual data, key ideas, important dates, and concepts. If you know very little about your topic, reference sources are an excellent place to start research. Use the library’s research databases to find reference articles. Use a search engine such as Yahoo or Google to find a reference resource on the Web. Books typically provide an in-depth examination of any given topic, usually from a retrospective point of view. Most research-oriented books are works of non-fiction (e.g., textbooks). Fiction works include novels, short stories, and poetry. When you need historical and detailed information on a subject, such as the civil rights movement in the United States. When you need to put your topic in context with other important issues. When you need several points of view in one book such as collected critical essays on Shakespeare’s works. Use UACCH Library Catalog to find print titles on the shelves. Other library’s catalogs to request items through InterLibrary Loan. Journals, magazines, and newspapers published on a regular cycle throughout the year (e.g., daily, weekly, monthly, quarterly), provide up-to-date information on the latest developments on various issues or current events and are usually from a contemporary point of view. Articles can be brief & general or in-depth & focused on a very specific or local topic. When you need up-to-date information about current issues, popular culture, or international, national and local events. When you want to read various points of view or popular opinions (e.g., editorials, commentaries). When you need scholarly articles or original research, need to find out what has been studied on your topic, or need references that point to other relevant research (journal articles). Use Journal Search to find full-text periodical titles that are available in print or online. Use the library’s research databases to search for periodical articles on a specific topic. The Web allows you to access most types of information or multimedia on the Internet through a Web browser such as Microsoft Internet Explorer, Mozilla FireFox, or Google Chrome. One of the main features of the Web is the ability to quickly link to information. The Web contains information beyond plain text, including images, sound, music, and video. Since anyone can publish on the web, you need to carefully evaluate what you retrieve through search engines such as Google or Yahoo. To find current news and events. Expert and popular opinions on various issues. Government sources from all levels of government (international, national, state and local) provide both historical and current information, and statistical data. Use the UAHT Library Catalog. Use the library’s research databases. Use search engines such as Yahoo or Google. The Information Cycle is the progression of information created about a particular event. Timing is a large part of what makes a blog different from a scholarly article different from a book different from a newspaper article different from a magazine article, etc. Different types of material take different amounts of time to produce. Each type of material also has its own characteristics and caveats. If you understand The Information Cycle you will better understand what materials are available about an event or topic, and when they are or will be available. different purposes – to inform, to persuade, to instruct, to entertain, etc. is presented in different formats. 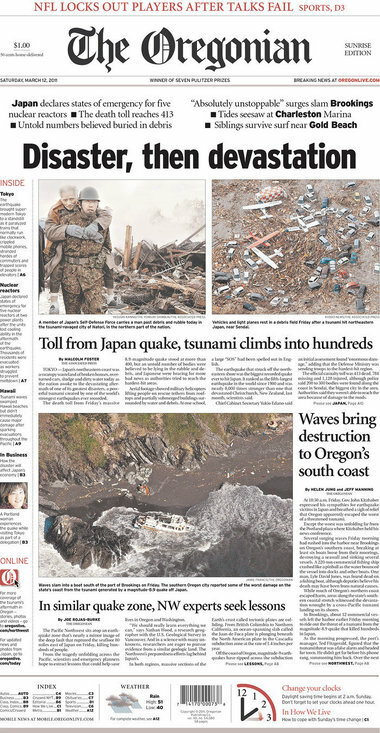 Moments before, during and immediately after the March 11, 2011 tsunami in Japan, witnesses Twittered, Facebooked and sent photos of the devastation around the world. Television, Internet and radio media also reported the event. Can provide the most up-to-date information. Explains the general details of an event. Many formats, not just traditional articles – includes tweets, blogs, and Facebook posts. Primarily written by journalists (non experts). Intended for a general audience, not for scholarly research. The biggest earthquake to hit Japan in 140 years struck the northeast coast on Friday, triggering a 10-metre tsunami that swept away everything in its path. The week the tsunami hit Japan, newspaper articles began describing the early details of all aspects of the disaster. Longer, more detailed, and factual than immediate news sources. Frequently include statistics or photographs. Can provide a local or editorial perspective. Provide some analysis and insight into the “why” of events. 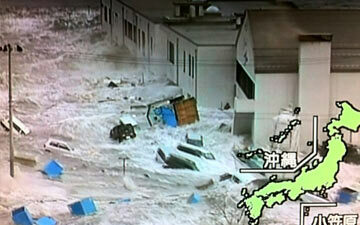 As all of the facts of Japan’s tsunami were gathered, more detailed analysis began to be created. Popular and news magazines began to produce long form stories that discussed the impact of the event on society, culture, and public policy. Include detailed reports of events, interviews, as well as opinions and analysis. Offer perspectives on an event from particular groups or geared towards specific audiences. Are written by a range of authors, from professional journalists, to essayists, to commentary by scholars or experts in the field. While often factual, information can reflect the editorial bias of a publication. Are intended for a general audience or specific nonprofessional groups. Months after Japan’s tsunami, long, detailed articles describing the tsunami’s effect on all aspects of life began to be published. These articles were backed by the research, analysis, and the expert knowledge of professionals in their related fields. Include detailed analysis, empirical research reports, and learned commentary related to the event. Are often theoretical, carefully analyzing the impact of the event on society, culture, and public policy. Are peer-reviewed. This editorial process ensures high credibility and accuracy. Typically very specific in topic. Written in a highly technical language. Are intended for other scholars and can be difficult to understand. Are not quickly available after events take place. Many of the library’s other databases. Books analyzing the impact of the tsunami were published about a year after the tsunami. Provide in-depth coverage of an event, often expanding analysis from earlier academic research. Often place an event into historical context. Can provide detailed overviews of an event. Can provide other relevant sources through bibliographies. Range from scholarly in-depth analyses of topics to popular books which provide general discussions and are not as well-researched. Might have a bias or slant. Credentials of authors can vary. Years after Japan’s 2011 tsunami, the event will be well-known and encyclopedias, handbooks, and other reference sources will publish entries on the subject. Considered established knowledge. Include factual information, often in the form of broad overviews and summaries of an event. May include statistics and bibliographies. Authored by scholars and specialists. Frequently not as detailed as books or journal articles. Often intended for a more general audience, but may be of use to researchers, scholars, and professionals. Materials which have not been interpreted by another person. Original document/writing created at or near the time an event occurred. Primary sources provide first hand accounts or experiences of events. Information is generally presented in its original form, whether it be a work of literature or art, or an account of an event or experience, or original documents or research products such as interviews, speeches, questionnaires, letters, diaries, manuscripts, memoirs, etc. Includes books, periodicals, and web sites. Search online & print primary sources via the UAHT Library Catalog. Search for online primary sources via the Library Databases. Search the Internet for free primary sources. Search the catalogs of more than 10,000 libraries worldwide for primary sources: WorldCat. Secondary sources provide second hand accounts of events. These sources include materials that have been reported, analyzed, or interpreted by people who do not have firsthand knowledge of an event and may be found in books or periodicals, or on web sites. Search online & print secondary sources via the UAHT Library Catalog. Search for online secondary sources via the Library Databases. Search for online & print encyclopedias via the UAHT Library Catalog. Search online encyclopedias & other reference books via the library databases (e.g., CREDO Ref). Search the Internet for free ready reference resources. Browse the library’s reference shelves for print encyclopedias. Books Books cover virtually any topic, fact or fiction. Books typically provide an in-depth examination of the given topic, usually from a retrospective point of view. Most research-oriented books are works of non-fiction (e.g., textbooks). Fiction works include novels, short stories, and poetry. For research purposes, you will probably be looking for books that synthesize all the information on one topic to support a particular argument or thesis. need historical or detailed information on a topic such as the civil rights movement in the United States. need to put your topic in context with other important issues. need to support an argument. need several points of view in one book such as collected critical essays on Shakespeare’s works. Search for online & print books via the UAHT Library Catalog. Search for online books via the library databases (e.g., EBSCO eBooks Collection). Search the Internet for free books out of copyright protection. Search the catalogs of more than 10,000 libraries worldwide: WorldCat. Periodicals are published on a regular ongoing basis (e.g., daily, weekly, monthly, quarterly). Journal, magazine, and newspaper articles tend to be more specific or about certain aspects of an issue compared to books. Periodicals provide up-to-date information on the latest developments on various issues or current events and are usually from a contemporary point of view. Articles can be brief & general or in-depth & focused in on a very specific or local topic. need up-to-date information about current issues, popular culture, or international, national and local events. need to read various points of view or popular opinions (e.g., editorials, commentaries). need scholarly articles or original research. need to find out what has been studied on your topic. need references that point to other relevant research (journal articles). Search for online & print periodical titles held by UAHT Library by using the Journal Search tool by Serial Solutions. 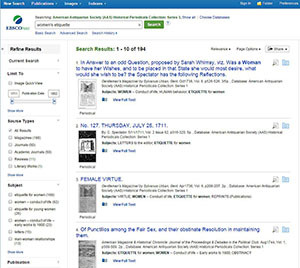 Search for online articles via the Library Databases. Search the Internet for free articles (e.g., Find Articles; MagPortal.com). Government Documents Government sources from all levels of government (international, national, state and local) provide both historical and current information, and statistical data. need information from various levels of government or on various social issues. need historical or current data or statistics. Search for government sources on the Internet (e.g., America’s Historical Documents, GPO Catalog). The Web allows you to access most types of information or multimedia on the Internet through a Web browser such as Microsoft Internet Explorer, AOL, or Netscape. One of the main features of the Web is the ability to quickly link to information. The Web contains information beyond plain text, including images, sound, music, and video. Since anyone can publish on the web, you need to carefully evaluate what you retrieve through search engines such as Yahoo and Google. need news stories on current events. need expert and popular opinions on various issues. need information from various levels of government. Use search engines such as Google or Yahoo to find web pages and other multimedia on the Web. Instructors often make assignments that require the use of articles from scholarly or professional trade journals. The terms peer-reviewed, refereed, academic, or research are also used. This handout provides general guidance in recognizing the difference between scholarly journal articles and popular magazine articles. Articles usually have cited references at the end. Usually illustrated by graphs, charts, or diagrams. Written and signed by authorities in the field. Purpose – Report on original research or experimentation. Usually contain an abstract, problem statement, and methodology. Use vocabulary requiring some knowledge of the subject. Geared towards scholars, researchers, or professionals. Often published by a professional organization or university. Usually published on a monthly or quarterly basis. Reviewed by panel or board. Articles seldom have cited references at the end. Frequently illustrated with glossy or color photographs. Usually written by staff or freelance writers. Many times unsigned. Purpose – entertainment and information. Contain no abstract, problem statement, or methodology. Usually published on a weekly or monthly basis. UAHT Library provides access to millions of full text online articles through databases found on the Library’s web site, such as Academic Search Elite, Nursing & Allied Health Collection, Psychology Collection, Salem Literature, etc. Limit your database search results to scholarly articles by checking the box next to Scholarly (Peer Reviewed) Journals. One prevailing misconception is that everything is available on the Internet. As a matter of fact, only a small fraction of the world of information is available on the free Internet. Think of the Web as an iceberg. Anyone can see and access roughly one-third of the information available on the open Web for free, using popular search engines like Yahoo! or Google. Wikipedia articles, for example, are open Web resources that are available online to anyone who searches for them. In the illustration above, the area above the line represents the open Web, where anyone has easy access to free information. The other two-thirds of the information available on the Web is hidden from view and is known as the “deep Web.” The deep Web is where information is not free and is not included in popular search engine results. Library databases are deep Web subscription resources that are available online to authorized users, such as students enrolled UAHT. Books, journals, magazines, and other publications that are commercially available are usually not available for open access on the Internet. Thus, some of the most reliable information in existence must still be obtained from licensed library databases or traditional print sources. In the illustration above, the area underneath the line represents the deep Web, where it costs money to gain access to higher-quality, reliable information. The Internet is a great source for finding current news stories, government documents, statistics, working papers, conference proceedings, reports, etc. However, since there is no quality control on the Internet, you need to make sure you check the reliability of sources you find through search engines such as Google and Yahoo! . Review the Evaluate Sources section of this guide for criteria guidelines for evaluating resources. Before you begin using a library database or search engine, it is a good idea to write down all the keywords and phrases that describe your topic or the information you are seeking. You should also write down any synonyms or related terms. These keywords and phrases can be your search terms. Example: Does television viewing encourage aggressive behavior in children? In the Academic Search Elite database, the subject heading for death penalty is capital punishment, but another term may be used in other databases. Many databases use the Library of Congress Subject Headings. You may consult this resource online or check the database for a thesaurus. A keyword search retrieves words or phrases from the important fields of the database records. In most databases a keyword search finds words in fields that have descriptive content, such as author, article title, source title (book, journal, magazine, or newspaper, subject/descriptor terms, and abstract. In some databases, additional fields may be included in the keyword search. And in other databases, a keyword search will search everything in every record. Some keyword search engines allow you to specify which field(s) are to be searched. Type AND between your keywords to narrow your search. The database or search engine will only retrieve those articles or web pages that contain both words. UsingAND will decrease the number or hits or articles or web pages in your result list. Type OR between your keywords to broaden your search. The database or search engine will retrieve those articles or web pages that contain at least one of these words. Using OR will increase the number of articles or web pages in your result list (especially if not used in combination with AND or NOT). Use OR between keywords that are synonyms or have similar meanings. Type NOT before a keyword to exclude that keyword from your search. Using NOTwill decrease the number of articles or web pages in your result list. The best use of NOT is when you are searching for a keyword that may have multiple meanings. Use parentheses ( ) to keep combination searches in order. This is called nesting. In the example below, the database or search engine will retrieve articles or web pages that must contain the word law and at least one of the words in parentheses. Truncation, also known as stemming, uses a character such as asterisk (*) or question mark (?) at the end of a word, which allows you to search for a root form of a word and pick up any ending. Example: typing teen* will find teen, teens, teenage, teenager, teenagers. Be careful not to end the stem or root of a word too early to retrieve too many results. Example: typing cat* will find cat, cats, catalog, catastrophe, catsup, etc. Different databases use different symbols to truncate words. However, most of our popular databases, such Academic Search Elite, are using asterisk (*) as their truncation symbol. If in doubt, check a database’s “Help” screen for the truncation symbol. Some search engines, such as Yahoo! and Google, automatically use truncation without you having to type a truncation symbol. Wildcard symbols can be typed in place of a letter or letters within a keyword if you are not sure of the spelling or if there are different forms of the root word. Example: wom?n will find both women and woman. Note: Again, check the Help or Tips links available on most library databases and Internet search engines to verify the wildcard symbol that should be used (usually an asterisk (*) or question mark (?) ). A database is an organized collection of online records in a standardized format that can be stored and accessed in a variety of ways. UAHT Library has a large collection of full text journals and periodicals that are available online through approximately 65 databases. The databases are collections of published articles, books and other resources that cover the spectrum of college students’ research subjects. Some of the databases provide access to general reference collections and others are specially designed, subject-specific databases: business, history, nursing, etc. The databases are the best place to find scholarly information for your research and they can be used with relative ease from any online computer. You can limit your searches to full-text only, so, you can immediately print, read, or save the best resources you find. You can also send articles to your e-mail account. article length, and image types. 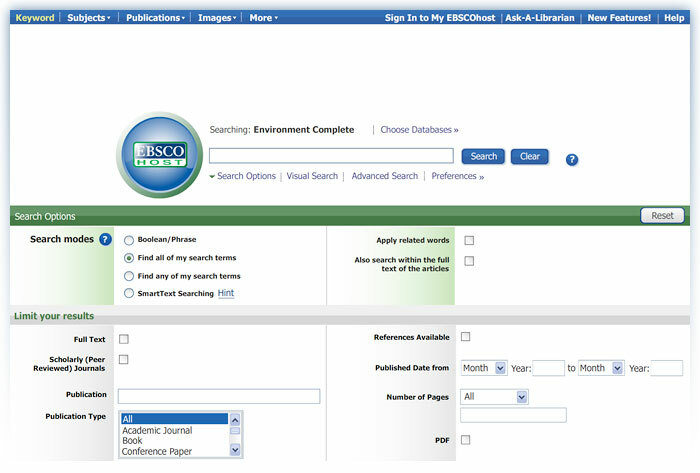 To search multiple databases, click on the Choose Databases link to see a menu of all available EBSCOhost databases. Click the Search button to see your Result List. The Search Box will be displayed above the Result List. Your search terms, limiters and expanders are retained and you can revise your search, as needed. Click on an article’s title to see its Detailed Record or click on its PDF Full Text or HTML Full Text link to see the full text of the article. On right side of the Detailed Record there is a Cite link that will show you how to cite the article in your works cited list. Start your research with a comprehensive general database such as Academic Search Elite, MasterFILE Premier, or TOPICsearch. After you get comfortable with the general databases move on to search the subject specific databases. If you are already know the name of the database you want to search, go to the library’s home page at http://libraryweb.uacch.edu/ When the library’s home page appears, hover over and select the Databases tab; find the database you want to search and click on its title. The database’s basic search screen will open and you can execute your search. While there are newspapers and other services, like Google Scholar, available free online, the library databases are services to which we pay to have access. Most of the articles contained in the library databases cannot be found through with search engines. What types of resources are indexed by library databases? – books, pamphlets, government documents, etc. What types of information do library databases provide for these resources? – All databases provide citation information about the items they index. A citation typically consists of: author’s name, title of article, title of the book, journal, magazine, and newspaper, publisher, date of publication. – Many library databases also provide abstracts of the items they index. An abstract is a brief summary of the article. – Many library databases also provide the full text (the entire article or book) for items they index. How do library databases differ in what they cover? Some library databases are general – meaning that they index items from many subject areas or academic disciplines. If you’re not sure which database to choose, you may want to start your research with our most comprehensive and generaldatabase, Academic Search Complete. Most library databases index items from a specific subject area or academic discipline (e.g., business, health, history, psychology). To locate a database by subject, browse our Subject List of Research Databases. How do I access and use the library databases? The library databases can be accessed from the library’s home page by clicking on Databases A-Z or Databases by Subjectunder the Find Information section. If you are accessing the databases from off-campus, you will be prompted to login with UAHT Library’s generic login information which is available in the library. The databases are accessible 24/7. If you need help in using the databases, schedule a one-on-one research consultation with a librarian or sign up for a free library workshop. Can’t I get the same articles found in a library database by just Googling it? In most cases, no. Most of the information retrieved from the open web by using Internet search engines, such as Google, is free. library databasescontain copyrighted, licensed, proprietary information that is not free. JSRCC Library pays yearly subscription fees for its databases just like it pays yearly subscription fees for its print journals, magazines, and newspapers. What’s wrong with just Googling? There’s nothing wrong with using Google or another search engine to find information on the web. Just keep in mind that most of the information retrieved from the open web hasn’t been evaluated. It could be inaccurate, biased, or it might not be current. Also, the authors of web sites might not have the same credentials as the authors of articles found in the library databases. You will need to more carefully evaluate information retrieved on the open web. All of the articles found in the library databases have already been evaluated for accuracy and credibility by discipline-specific experts and publishers. My instructor told our class we can’t use any (or only a few) Internet sources. Can I still use the library databases? Click on the Catalog tab to go to the Basic Search Screen. The Keyword button will perform the broadest search and return the most items that match your search terms.Your search results will be a list of brief records. Each brief record will provide the title, call number, author, and availability for each item that matches your search terms. A book is already checked out if the catalog states 0 of 1 available. Library Staff can tell you when the book is due to be turned in. The Library’s Catalog is primarily used to find items in the Library’s collection. It can be accessed from the first page on the Library homepage’s or from the Library’s Quick Links menu. Libraries use classification systems to organize the books, DVDs, etc. on their shelves. Most public libraries use the Dewey Decimal Classification System (DDC) and most academic libraries (including UAHT Library) use the Library of Congress Classification System (LC). These classification systems allow each book and video in the library to be assigned a unique call number. A call number is like an address; it indicates where the book is located on the library shelves. Enter your search terms in the Find field on the Basic Search screen. or Expanders. To close the Search Options, click the link again. The search field is displayed above the Result List. Your search terms, limiters and expanders are retained. To revise your search, you can click the Search Options link under Limit your results. To see the full text of an article, click on the HTML Full Text or PDF Full Text link. What? What does the work cover? Is it relevant to my topic? If an abstract is available, read it. Scan the full text and look at the thesis, statement and conclusion. information up to date enough for the topic chosen or do you need historical information Check the publication date. In fields such as medicine, science & technology, currency is important. In fields such as history & literature, older materials may be just as valuable as newer ones. Who? Who is the author or sponsor? Type the author’s name in Google.com and see if you can retrieve some background information about the author. Why? Why was the work written? What was its purpose, to inform or to persuade? What was thebias/perspective/ motivation? Check who publishes or sponsors the source. Purpose: Determine whether the main purpose of the site is to inform or to persuade (advocate for a cause). Author: The best sites are produced by those who have appropriate education, training, or experience to write with authority on the topic. Check site documents or external sources to find out more about the author. Bias: Consider whether content seems biased. Does the author have a “vested interest” in the topic? Look for documentation of claims and a balanced point of view. Coverage: Shop around for the best source. You can compare the page to others on the same topic to see which provides better coverage. Currency: If you are looking for the most current information on a topic, be sure to determine when information was added. Recognition: Also try to determine whether the site has been recognized as exemplary by others linking to it, tagging or citing it. Many thanks to University Library at the University of Illinois at Urbana-Champaign, J. Sargeant Reynolds Community College Library and Temple University Libraries for some of the images & information used in this guide.